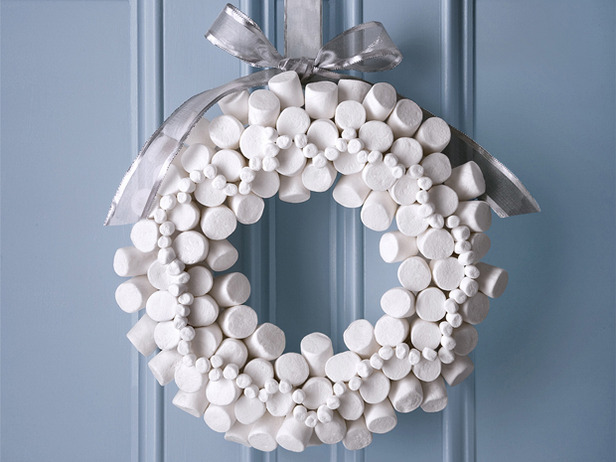 Buying a already made wreath can be so expensive. 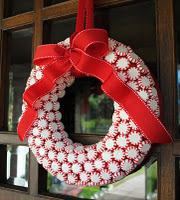 Making your own can save you so much money and now you can decorate it to your liking. Not only that but YOU made it! 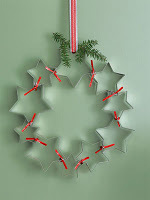 Assembled in minutes out of common home supplies — star cookie cutters, silver paper clips, and red twist ties — this charming creation is a cinch to craft. On a flat surface, arrange cutters into a circular shape as shown; clip together where stars touch. 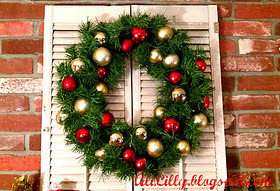 Carefully flip wreath over and secure the same spots with additional paper clips. Tightly twist ties around these sections as shown. Evergreen sprig optional. Create this frosty pinecone wreath by spray-painting each pinecone completely white; let dry. 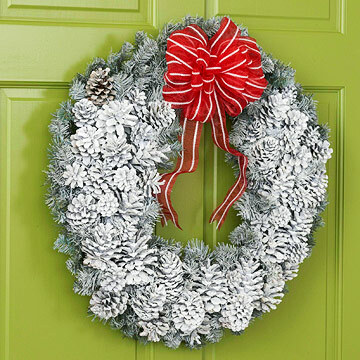 Lightly spray an evergreen wreath with white paint, allowing some of the green needles to show through. 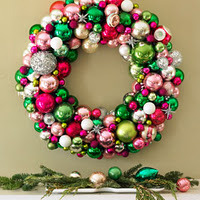 Use hot glue to adhere the painted pinecones to the front of the wreath. Add a red velvet bow for a splash of holiday color. 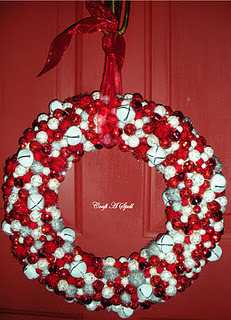 I started off with these ‘baubles’ – fuzzy sparkly pom-poms in silver-white and red, Styrofoam ‘bowl filler’ balls in red and white, and bells in red and white. 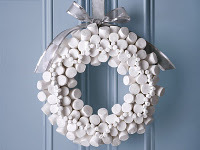 I got them all at Hobby Lobby but I know some, or similar things, can be found at Michaels. Click HERE for full instructions.